Prefer to go on Holiday without stress? 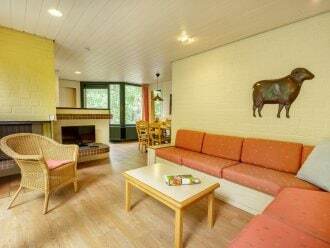 Our Holiday villages in Belgium offer the ideal Holiday, complete with all comforts and luxuries. Our 5 star Holiday villages in Belgium are easily reachable, check the distances to select the best route for your trip and discover our parks & their location. If you decide to book your stay at Center Parcs at least two months in advance you will enjoy an early booking discount up to 20% off. On top of this, you will be able to choose a Preferred Location of your cottage and even receive an Activites Gift Pack! Traveling with your family? Receive up to 15% discount for families or groups with at least one child younger than 13 years or at least one adult older than 55. The perfect mix of tough action and tranquility, in the adventurous Ardennes. Explore the green hills in the Ardennes with an e-bike or mountain bike. Adrenaline between the treetops on the High Adventure Experience. Stay in a completely renovated cottage: up to 18 persons! Discover the most beautiful nature, or picturesque villages? Explore the diverse region!